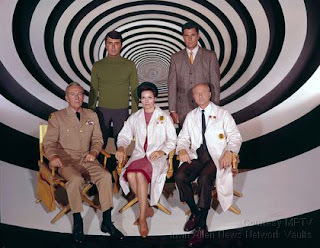 When I was a kid, I loved watching Doctor Who (natch) but also my other favourite show was Lost In Space. This was on ITV and we saw it in black and white (not having a colour telly until 1972). I remember being out one Christmas and catching sight of an episode of Lost In Space in full colour on a television in a TV shop - what a revelation that was. I suspect my parents had to drag me kicking and screaming away from it! Anyway, as well as Lost in Space, Irwin Allen also made some other shows. 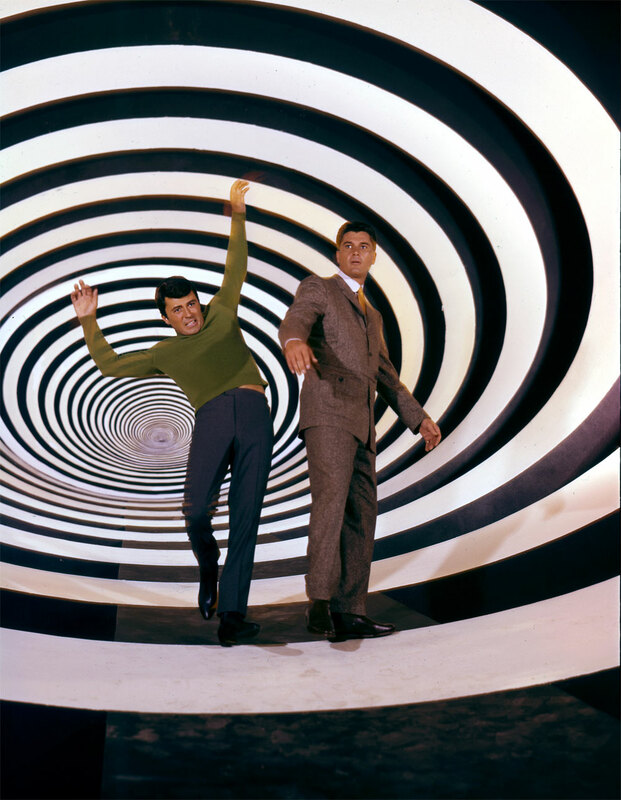 There was Land of the Giants which I could never quite get into, and also Voyage to the Bottom of the Sea which was better, but the one which I really liked was The Time Tunnel. The premise is pretty simple, two scientists, Doug Phillips (Robert Colbert) and Tony Newman (James Darren), get themselves thrown about in time via the Time Tunnel, which is operated from 1968 by General Kirk (Whit Bissell), Dr Raymond Swain (John Zaremba) and Dr Ann MacGregor (Lee Meriwether), sometimes assisted in the early episodes by Jerry (Sam Groom). They seem unable to bring the scientists back home, but at the end of each episode throw them off and onwards somewhere else. 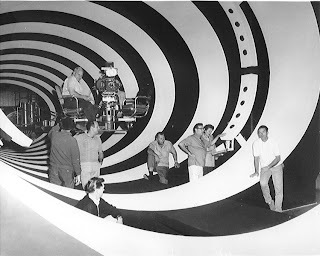 I have always considered that The Time Tunnel is what Doctor Who could have been if the latter show hadn't discovered the Daleks early on, and realised that the science fiction element was the way to go forward. 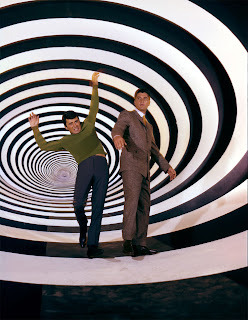 For the best part of its 30 episodes, The Time Tunnel stays resolutely rooted in the past, with every significant moment in the history books being the location in which poor Doug and Tony get dumped. 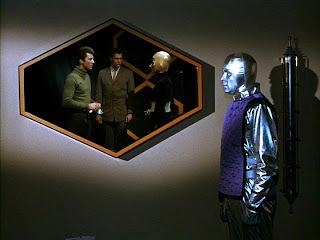 Each episode follows a similar pattern, they arrive (tumbling head over heels into whatever place it is), are immediately set upon by whoever the natives are, whether pirates or cavalry or indians or townsfolk or whoever, as a result of which Doug and Tony are split up, and the remainder of the episode is them trying to figure out where they are and what's happening, while the folk in the Time Tunnel back in 1968 have to locate them in order to get them out of there before whatever historical event it is happens. One of the big problems with the series is that it is inconsistent. The production team obviously made a decision that each episode would be stand alone - there is never anything carried from one to the next, and even Tony and Doug's clothes inexplicably 'reset' each time. But this is carried over into the scripting, with random mcguffins being introduced one week and then forgotten about the next. 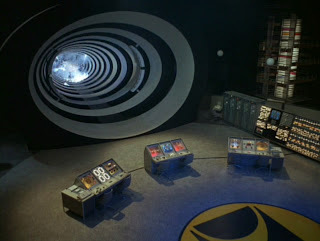 For example in the Billy the Kid episode, we're told that if the Time Tunnel in 1968 tries to talk to Doug and Tony in the past, then this drains the energy to the extent that a switch cannot then be attempted for another 3 hours, but in the very next episode, Kirk is merrily chatting away to them without a care in the world. They also seem able to send whatever they want through to whatever time the travellers are in - a ring, detonators, a sort of flashing rod thing - and even people can be sent there, like a doctor. Others can be transported back to 1968 with ease - a pirate, a kid with a bomb - and yet despite all this they are totally unable to bring Doug and Tony back no matter how hard they try. It all gets a little laughable when you watch the episodes in succession, as these elements are highlighted and made very obvious. It's also brilliant how Dr Swain is so negative all the time. Whenever he's asked to do anything, it can't be done, there's not enough power, we need to check ... and then when Kirk insists, it's all carried out with no problem at all. Then there's Ann, who fawns over Doug and Tony, and yet who sometimes can't get a fix on them at all - 'Let me try,' says Swain, and of course the man can achieve what the woman found impossible. There is a story editor credited on the show, but I've no idea what he was doing as the scripts vary wildly in all regards. 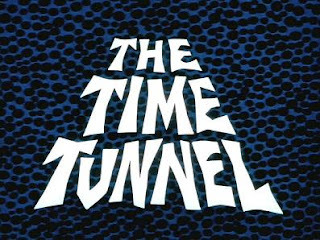 Bob and Wanda Duncan have the idea that for the Time Tunnel to get a fix on Doug and Tony, they need to know the precise date and location to do that. Other writers don't worry about such things. Sometimes there needs to be a 10 second countdown to switching them out, other times it's done instantly ... all these things are little niggles in the wider enjoyment of the show. There's one episode where someone steals a component from their equipment to stop them interfering ... and they have no replacements! So the whole of this complex under the Nevada desert has no replacement parts at all? That if something goes wrong, then, they are totally stuffed! It beggars belief really. As the series progresses, so the historical situations start to become more and more random ... and Doug and Tony seem to know everything about every time period. It's common for them to observe a rampaging battle (presumably nicked from another film or TV production) and to be able to tell where and when they are from the outfits and guns in use. Other settings are more esoteric, as when they join Robin Hood and his merrie men, or Joshua as he prepares to attack the city of Jericho... even Merlin and King Arthur get a look in - myth or real seems to make no difference to the Time Tunnel. However it is some of these episodes which work the best - possibly because they are not strictly tied to historical fact. The Merlin episode is nice as the magician is powerful and can pop back and forth between the Time Tunnel and the events in the past. It does become apparent, though, that the series is working with a small number of sets and locations, and that they crop up time and time again. There's the Western Town, the jungle, the beach, the tent, the rocky desert area, and various house and hotel interiors. After a time, it seems that the travellers repeatedly arrive in the same place! The stock footage is always well integrated though, and whichever films they took it from, they always try to ensure that it matches what the show is doing, even down to the right costumes and settings for the stock to be included into. Then there's the final two episodes, where the series finally properly discovered science fiction. There is an earlier episode featuring aliens, and one where they head off on a chase through time which breaks the mold a little. However the last two are perhaps the best of this format. The penultimate one features some fly-headed aliens in the desert preparing to destroy the Earth as part of a 'rite of passage' for the alien leader (who strangely has a human face rather than a fly-like one). At least the alien make-up is better than a couple of the earlier episodes where aliens all had silver faces and wore silver suits. I liked that the explanations here were a little out of the norm - not conquoring or anything, just as a 'point' in becoming an alien commander. 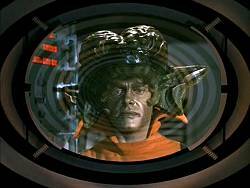 The episode also has 'drone' aliens, and I like that the ideas have been thought through at least in principle that this alien society has several levels. The final episode is perhaps the best of all of them, featuring some crystalline aliens in black cloaks who are intent on stealing all the oxygen from the Earth. This was one I remembered as a child, their shakey hand outstretched to touch you, and if they did, then you could be turned into an alien yourself. it's well done and very creepy. It's a great shame that this is the final episode, and moreso that there is no ending - Doug and Tony just get thrown on somewhere else. I do wonder why they didn't take the opportunity to film a sequence where they do get back, where the people in 1968 greet them, and it's the end of their journey. This could then have been tagged onto whichever was the final episode made, whenever that was ... but this sort of forethought tended not to happen unfortunately. 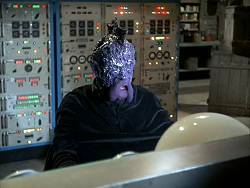 A lot of the alien 'tech' seen as the episodes progress is stolen from Lost in Space, as are some of the sound effects and musical cues, but this doesn't seem to matter. Overall, for me, the episodes which feature some fantastical element work better than the purely historical. And this brings me back to the comparison with Doctor Who. Subjects covered by both shows include the French Revolution, the Aztecs, the Trojan War and Marco Polo, and yet despite the high production values of The Time Tunnel, Doctor Who seemed to have the edge on the scripts and apporoach taken to the historical events. And, as mentioned, the fact that Doctor Who delved far more into the science fiction element meant that that series thrived and diversified, wheras The Time Tunnel became somewhat stale and samey, even though the historical events were different each time. Despite all these observations and comments, I have really enjoyed revisiting the show. It has a charm, and is always well made and watchable. The explosions and fights are all really nicely done, and some of the ideas and concepts are just brilliant. I've always mourned the fact that this wonderful show only had two seasons. I think if they had gone to a third season, they would have had the opportunity to break out of the formula they'd been using, and explore other ways to use the tunnel. They would have gotten the hang of it eventually, and Tony and Doug would have been returned home again. They would have used the tunnel to travel not just to other time periods, but other dimensions as well. There is literally no end to what could have been done with this great show. Even if they used some sets over, (a common practice in television) I would still imagine that the costs of the sets, costumes, extras for all those complex action scenes, props, and what have you, must have been tremendous indeed. All that expense may have played a large part in the show's cancellation. It's really a shame though. Star Trek had three seasons and is now iconic. I think The Time Tunnnel would have been as well, if they had only been allowed the chance.